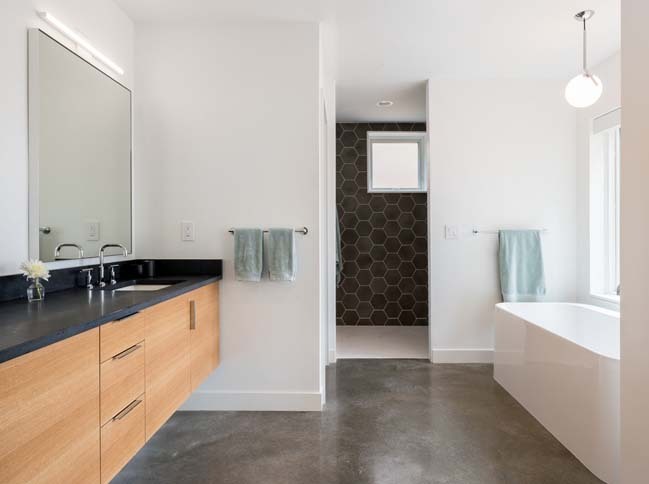 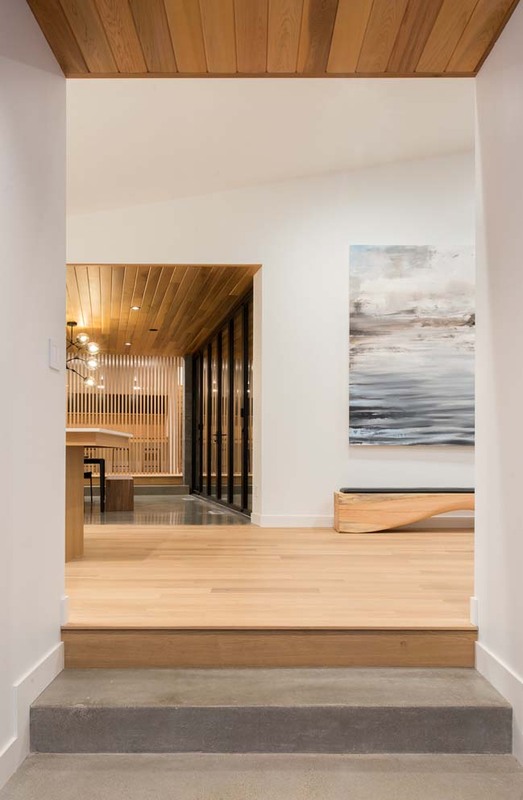 Completed in 2017 by STRAND DESIGN. 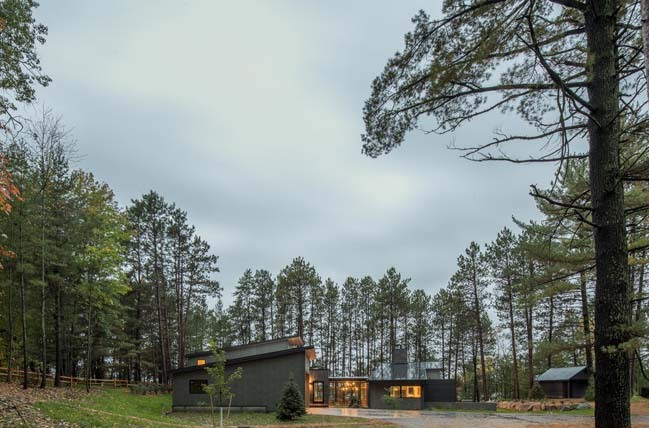 Northern Lake Home is a vacation retreat celebrates its natural north woods environment. 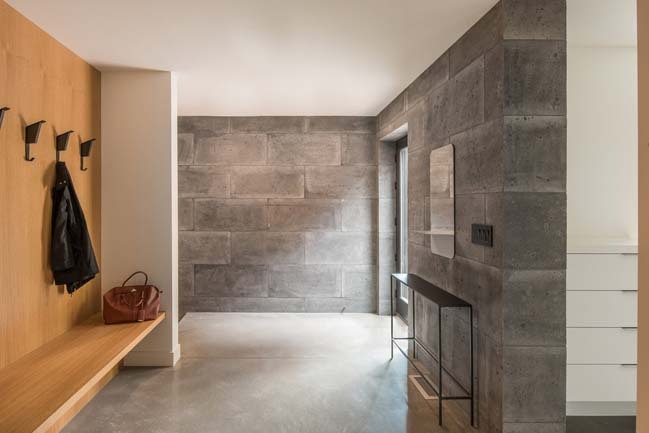 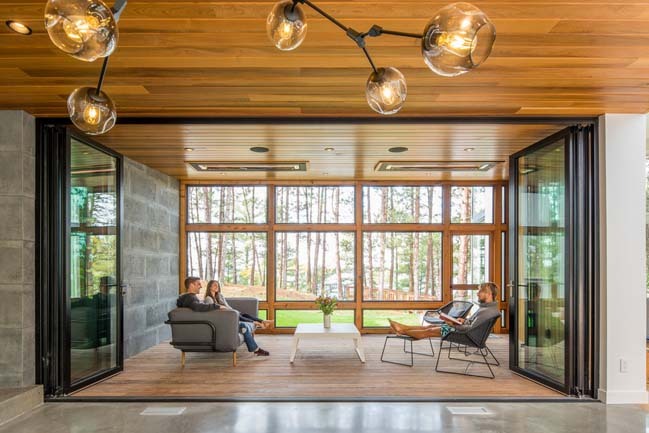 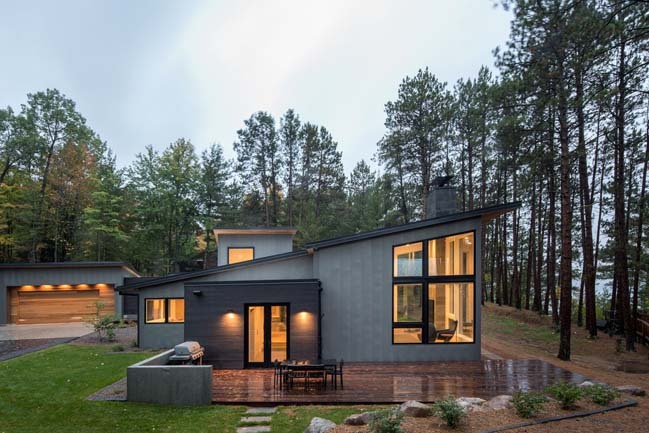 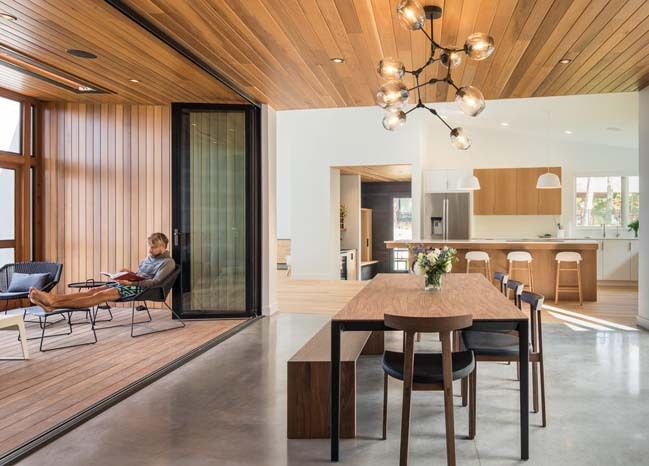 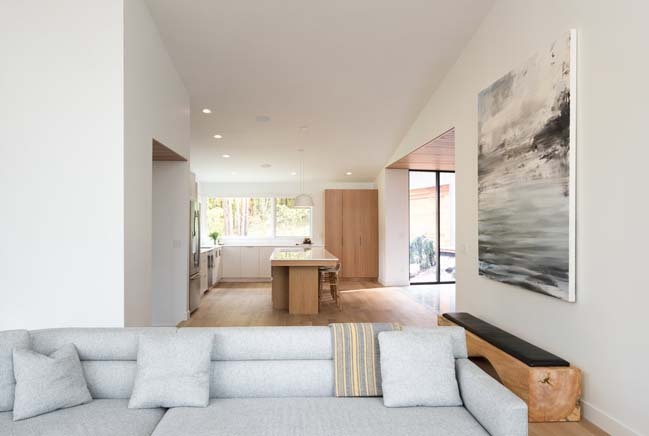 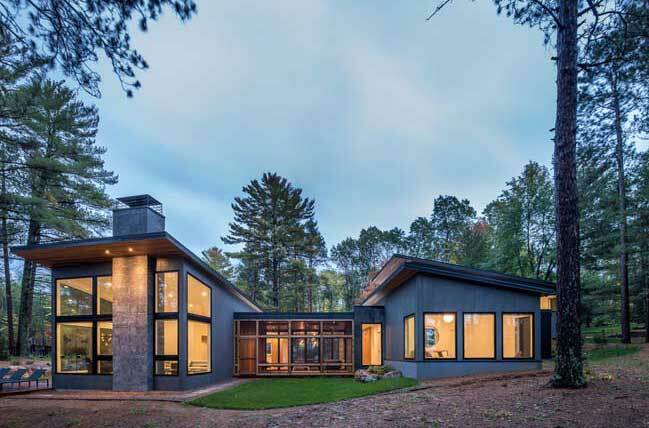 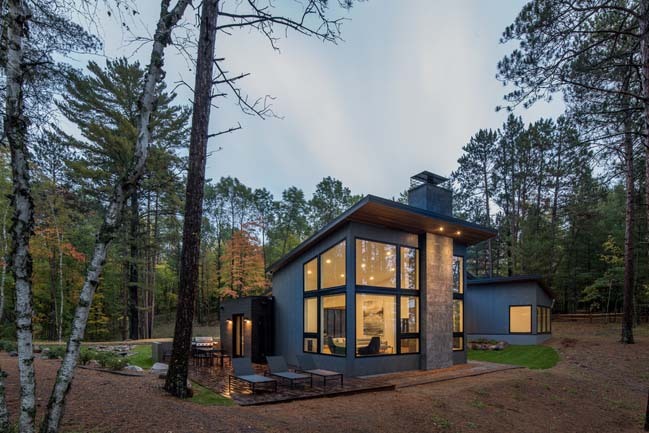 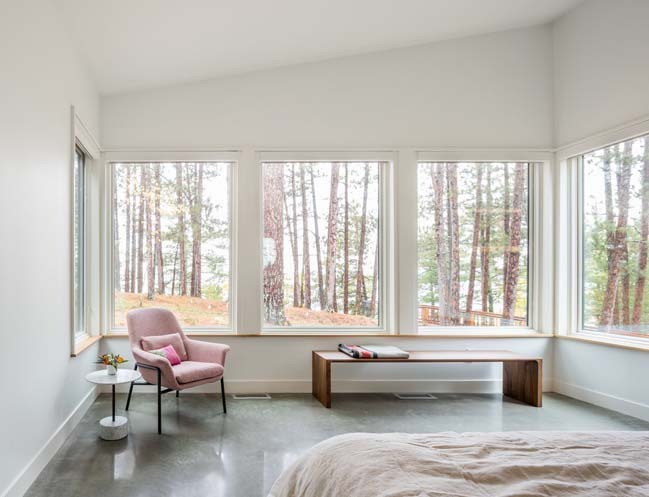 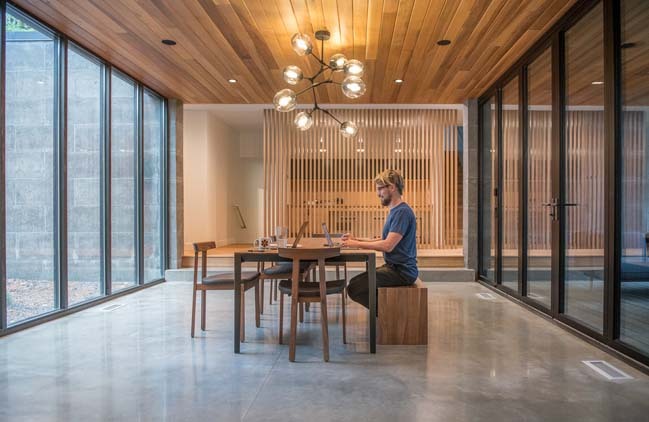 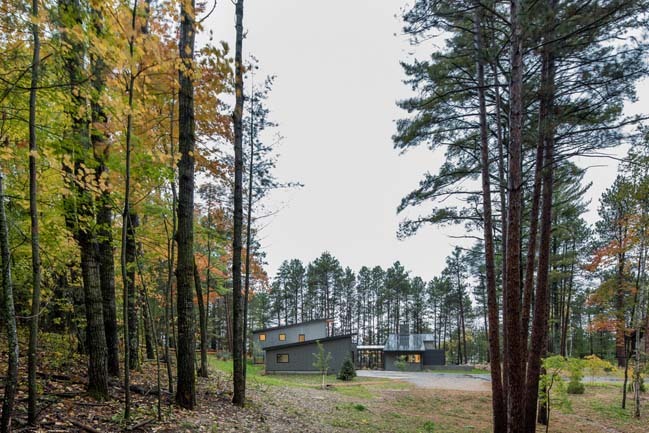 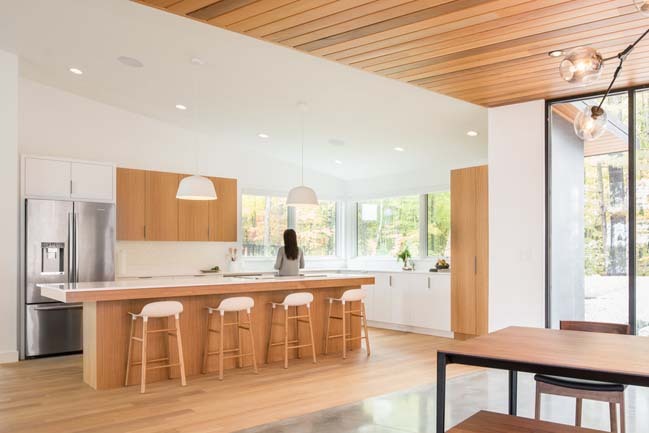 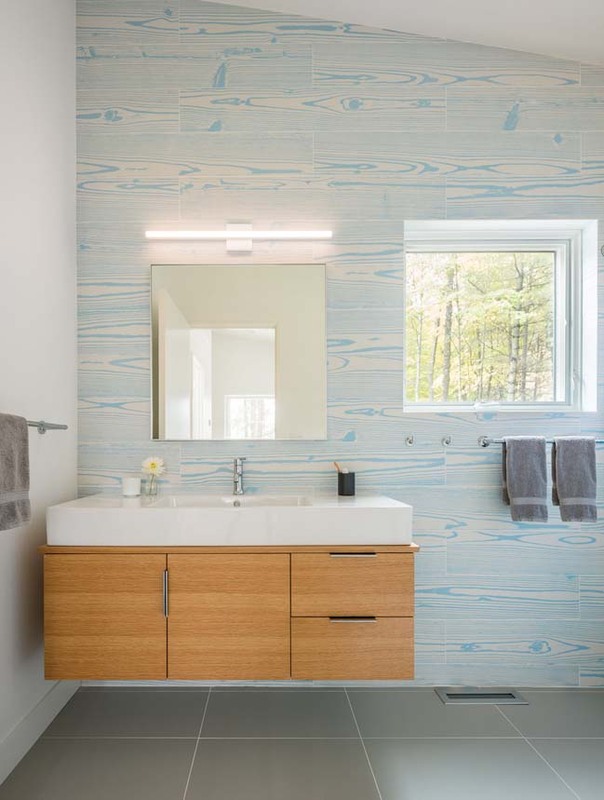 From the architects: Combining the active lifestyle and appreciation of modern Scandinavian architecture of a youthful Minnesota couple, this vacation retreat celebrates its natural north woods environment. 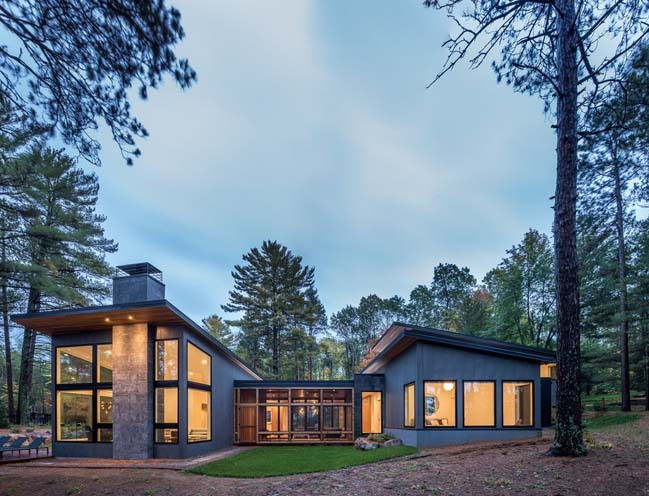 Programmatically, the Northern Lake Home is composed of two primary massings separated by a glass core. 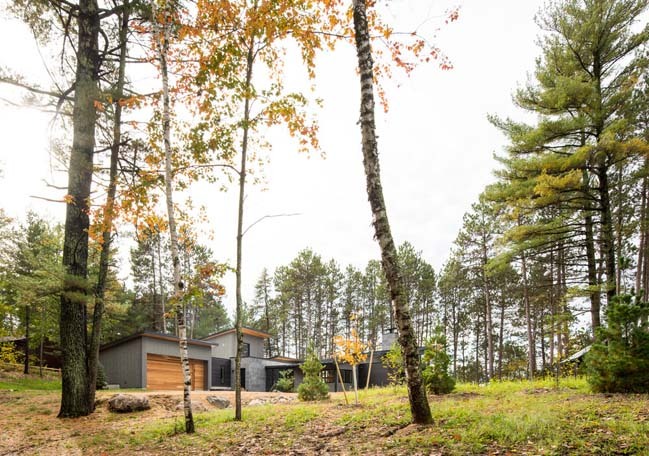 Splaying out to the lake beyond and nestled into a natural swale, the public spaces contour along the landscape blurring the distinction between its built and natural environments. 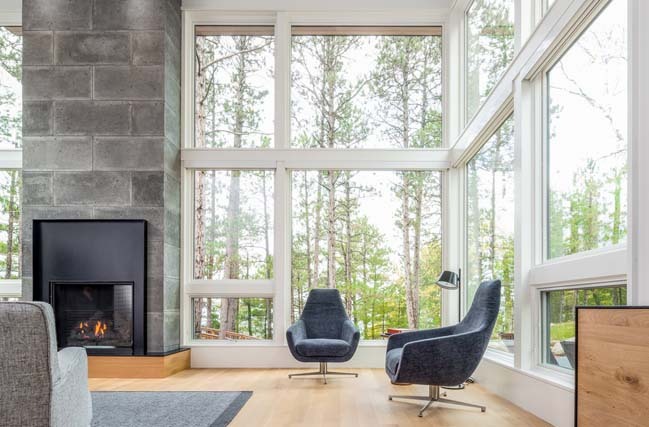 The voluminous living areas feature large walls of glass to welcome in the sometimes scarce northern light and capture intimate lake views through the embankment. 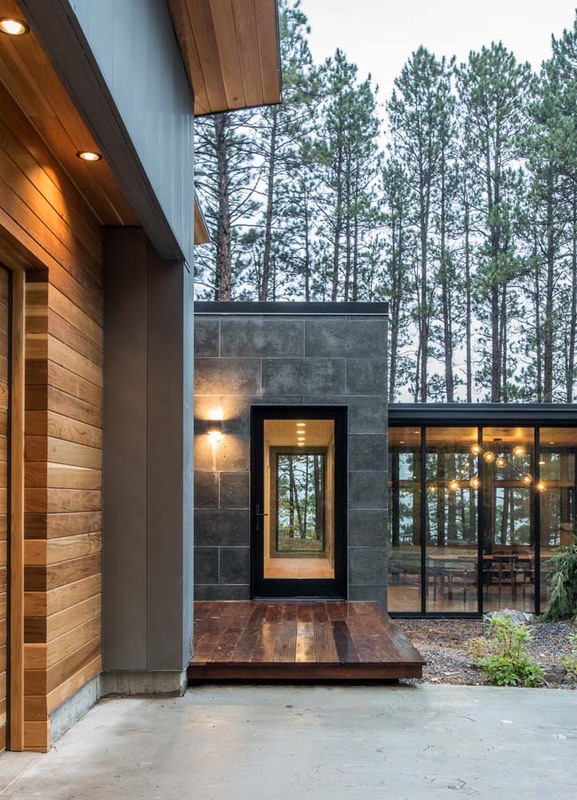 A glass core converts through its operable glass wall to combine the dining and private lounge to allow a sheltered connection to the woods and lake beyond. 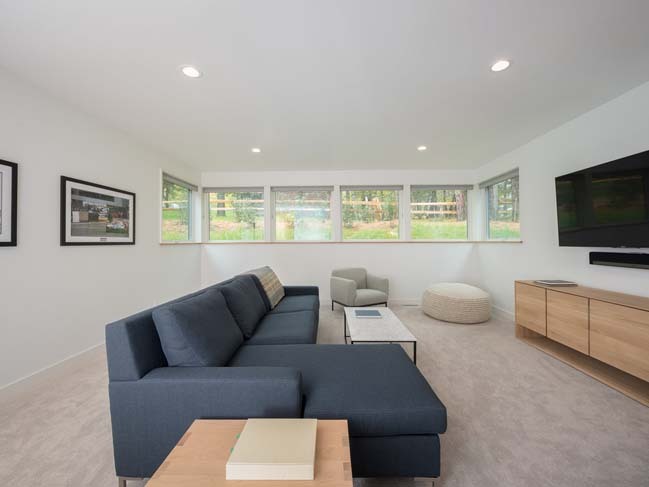 The private family area is partially embanked into the landscape and set away from the public area, protecting its sleeping quarters and private spaces from the active lifestyle surrounding it. 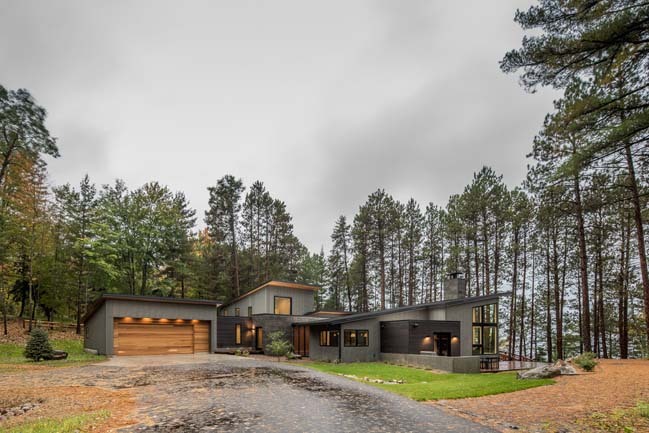 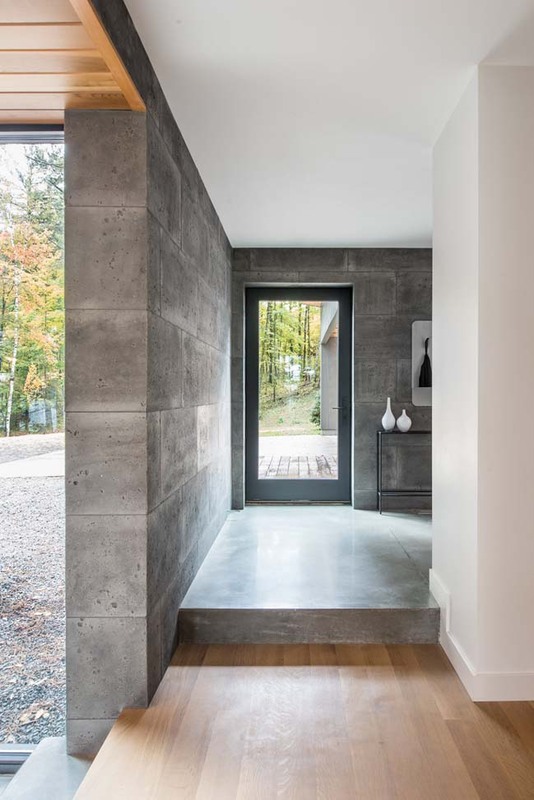 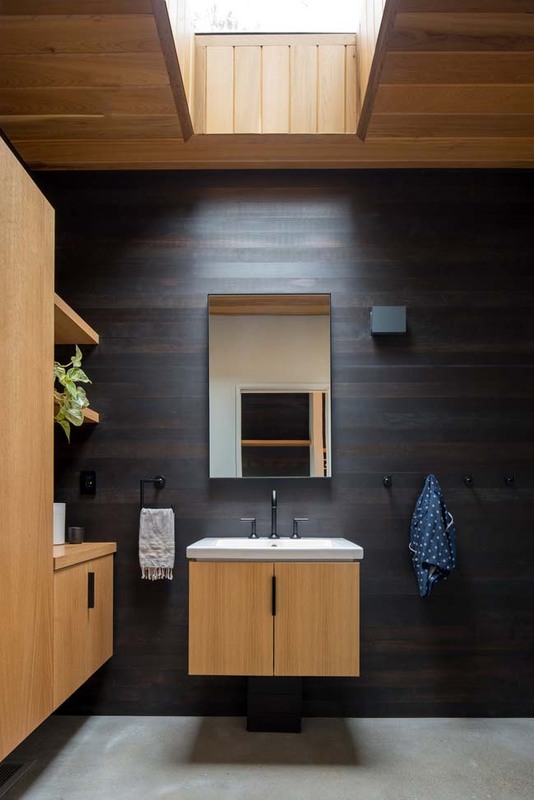 With a subtle darkened exterior material palate, the Northern Lake Home blends into the forested landscape, while white oak finishes provide a warmth to the minimal and crisp interior that allows the surrounding natural environment to be the highlight.